When we talk of fraffic laws, we talk of the struggles that passengers go through when they board a public transport vehicle. The issue of carrying excess people in a matatu has always been a disturbing and disgusting issues and for the Meru people, this has gone too far. 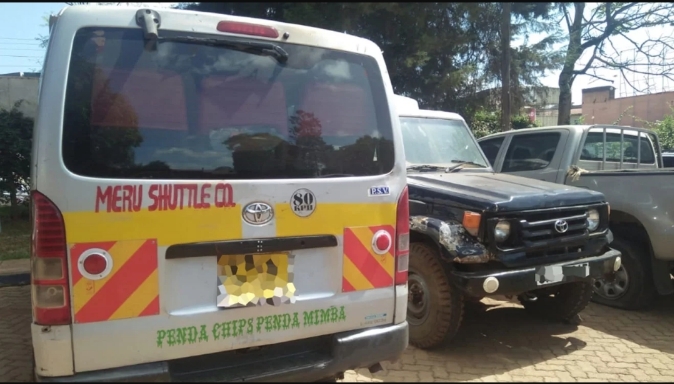 A video emerged on social media of how one matatu from Meru threw out a woman and her son after she refused squizzing herself to make room for the tout to get excess passengers. In the video, the tout is heard spiting all sorts of abuses to the woman and this caught the eye of the government as Nairobi governor erdered the arrest of the driver and the tout together pounding the said matatu.